February 6, 2019 - Another amazing year! 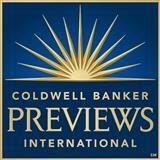 I am proud to say the ranking are in for 2018 for Coldwell Banker Residential Brokerage. I ranked in the Top 5 Locally, in the Top 100 for Greater Los Angeles and in the Top 1000 out of over 50,000 agent across all NRT Brands. I have 2 new exciting listing coming up so stay tuned or give me a call. June 20, 2017 - I am so fortunate. I have the best clients! April 21, 2017 - Can't find a house? Call me. I often know about properties before they come on the market. For example, my listing 16751 Livono Drive. Didn't hear about it? That is because it was placed into escrow prior to bringing it to the market. April 20, 2017 - It has been a while since I wrote. My excuse? I have been busy servicing the needs of the Buyers and Sellers I represent. The real estate market has been amazing. Demand for properties is high and interest rates remain low. I had a wonderful compliment from a client of mine. He said Lauren you are a custodial agent. At first I did not understand what he meant. Then he explained it to me. He said "There are agents who go out and get as many listings as they can. Afterwards they turn you over to associates and assistants. Getting them on the phone was easier when they wanted to list your home. You are a custodial agent. You are always available. It is easy to reach you. We feel like we are your only client. Full service by an experienced professional that really cares and most important of all this translates to getting the job done." WOW! July 30, 2015 - I recently closed 6 escrows. What you may find interesting is that 5 of the escrow were all cash! 5 of the transactions were in Pacific Palisades and 1 of them was for a property in Oak Park. For the property in Oak Park, I represented the Buyer. There were 15 offers! So happy that my Buyer was the successful bidder. And, if I may, I will take a bit of the credit as in my over 30 years I do know how to write what we agents refer to as a clean offer. The same holds true for a property I sold in Pacific Palisades, where I represented the Buyer. There were multiple offers and my Buyer prevailed. The listing agent like the other agent liked the way the Offer was written, but she said my reputation as an experienced agent who closes deal was a major factor. I don't mean to brag, but I am really good where it comes to real estate. Now, if I could translate that to resisting ice cream, that would really be something! March 3, 2015 - It is about 11:40am. 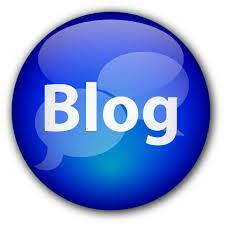 It has been a while since I have written on my blog, as I have been so focused on my work. The real estate market is strong! There is very low inventory and properties are selling with Multiple Offers. I just placed 3 properties into escrow. One with a Buyer. 15 Offers the Seller received. The Offer for my Buyer was accepted. I also placed 2 properties that listed into escrow. One took 3 days to sell and the other took 2 days to sell. Now, I am getting Back Up Offers. I always say it took me 30 years to make it look easy. Two months ago, I went to dinner with a client of my. A lovely couple who I had the pleasure of representing in the sale of their property. We went to Dan Tana's a favorite restaurant of mine, along with my husband. These clients would not let me pay. They said they appreciated what a great job I did for them. So nice to be appreciated! I work with the nicest people. Last month, my husband joined me and another client of mine for dinner at Mastro's on the beach. What a fun evening! And, it is so great to have a nice restaurant so close by! I am very lucky to have had the opportunity to represent these people on the sale of them home and on the purchase of their new home. For the sale of their home I was able to get 7 Offers and the property sold well over the list price. I found it funny that often people think real estate agents can set their own hours. Nothing can be further from the truth. If you are dedicated, get ready to work 7 days a week and be available at all hours. On Monday, I met a client at 1am. They were leaving town and we needed to finalize a deal. Happy to do it. I am lucky to be busy. July 16, 2014 - It is about 11:15pm and what a day. So much going on. My listing at 1580 Palisades Drive received Multiple Offers and is now in escrow, with a Back Up Offer in place. The Seller is actually a real estate agent in Utah. I was so flattered that this agent wanted to list his property with me! My listing at 1209 Bienveneda Ave. is now in escrow after receiving 7 Offers! I am working on putting Back Up Offers in place. This home has been a fun experience. The owners gave me a budget and said do want you feel is needed in the house. No pressure! The house turned out great and I am so excited about the reaction it received. Of course, it was a team effort. I can't take all of the credit, can I? Going on 11:20pm, with a stack of paperwork. Who said real estate is part time? I confess I love it, although maybe in it time for a snack. There is an ice cream sandwich in the freezer and I am sure it has my name on it. July 5, 2014 - I had a great time as I marched along with my office in the annual July 4th parade. My dog Buddy also joined in. Lot's of fun. My new listing at 1580 Palisades Drive is doing great. Lots of showing and multiple offers. Advance notice of a new listing coming on the market at 1209 Bienveneda Ave. Call me for details at 310/573-7776. I expect this to sell quickly. June 26, 2014 - I just listed a townhouse in The Highlands. It will go in The MLS June 30th so now you have advance noticed. It could use a little TLC but will be a terrific buy. Call me for details, 310/573-7776. I just leased my listing in Santa Monica to my own clients. Tenants and Landlord are very happy! June 14, 2014 - In about 3 weeks my new listing will come on the market. This is a 4 bedroom and 2 bathroom home in Pacific Palisades. It has about 2,000 square feet. The final list price has not been determined, but this will be a great opportunity. Call me for details. June 5, 2014 - So excited about my new listing at 16822 Via La Costa. This is an absolutely beautiful ocean view home with a pool and spa. Make sure you check out my current listings. May 30, 2014 - Advance Notice. I have listed a gorgeous home in Pacific Palisades. 5 bedrooms and 4.5 baths, private pool, spa and ocean view. Call for details. May 19, 2014 - Market Update. The real estate market continues to thrive.